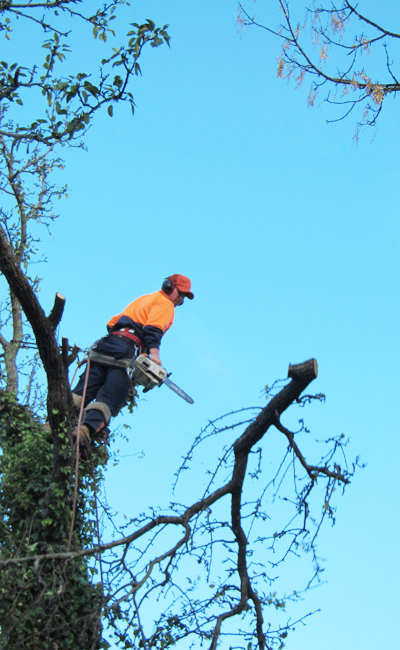 Climbing High Tree Services have all of your tree’s needs covered, from pruning, shaping and deadwooding through to felling, tree removal and stump grinding. We also install cabling and bracing and can arrange regular ongoing maintenance checks. 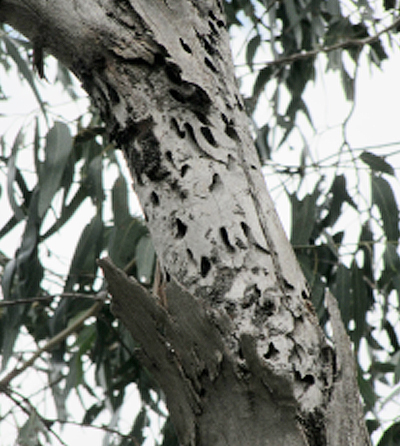 And of course, we provide pest control services, administer Elm leaf beetle injections and install possum guards. Pruning is a procedure that, if carried out well, will help to create strong, healthy, attractive trees. It can assist in correcting weight balance issues and reduce risk of hazard. Tree pruning may also be carried out to improve sunlight exposure to a property or provide a solution to a property boundary issue. 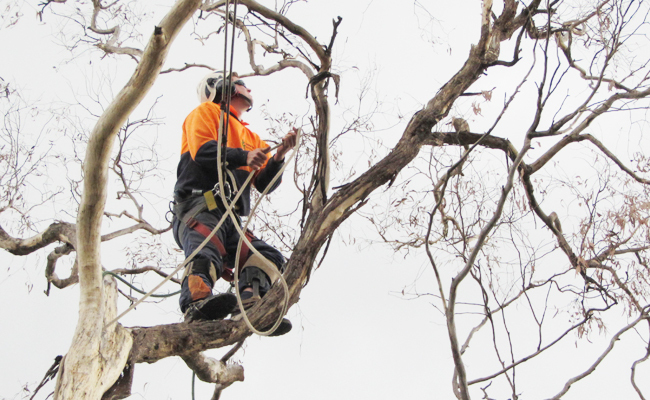 At Climbing High Tree Services we provide a variety of tree pruning services, all completed within local council regulations and to the Australian Standards AS 4373-2007 Pruning of Amenity Trees. Crown thinning is the selective removal of branches without altering the overall physical size of the tree. 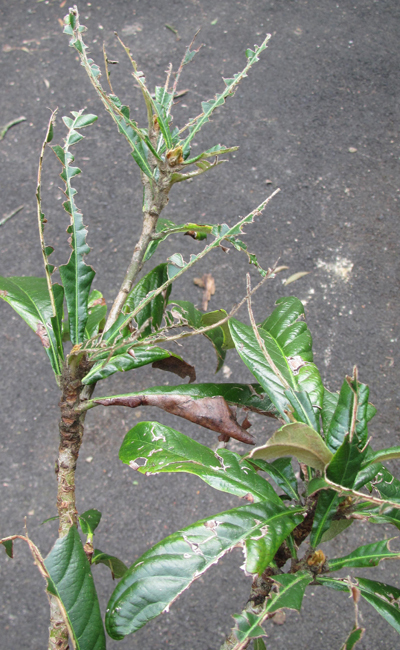 Branch weight reduction is the process of pruning the ends of branches back to the internal lateral branches or stems. Crown reduction is the process of reducing the crown to laterals without compromising tree health. Deadwooding is the removal of a tree’s dead branches. 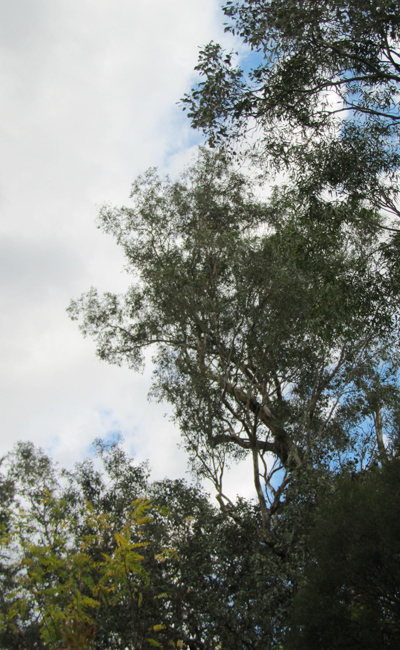 Crown lifting is the removal of a tree’s lower branches. Formative pruning is the pruning of a young establishing tree to encourage directional plant growth, resulting in an attractive, sound structure in later years. 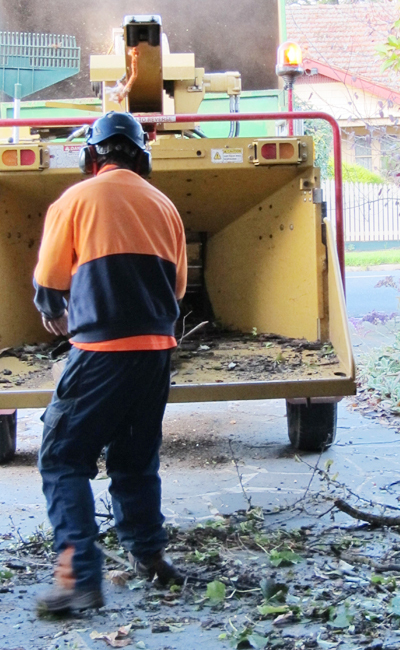 Tree Removal is the removal of a dead, diseased or hazardous tree. 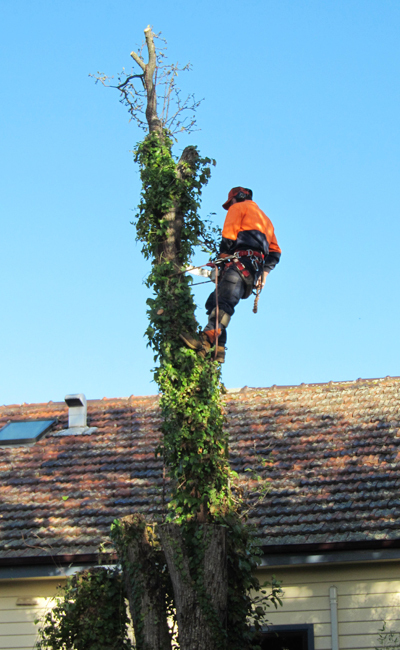 Climbing High Tree Services are specialists in hazardous tree removal, particularly in small, confined spaces. 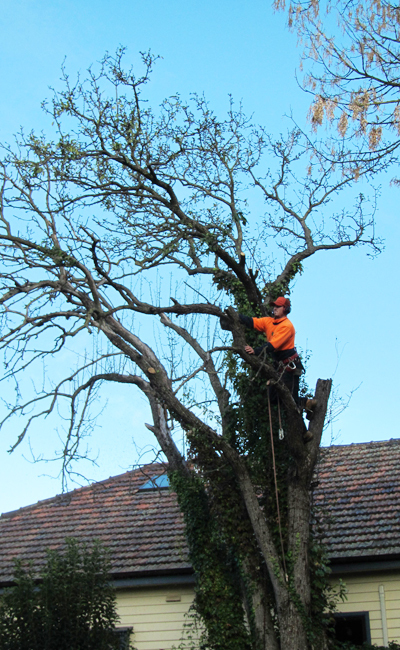 Tree removal can be achieved by methods of either felling or dismantling. The method of removal will be determined by our arborist on inspection. Tree felling is when a tree is felled in a single section using a variety of techniques to control the direction of the fall. 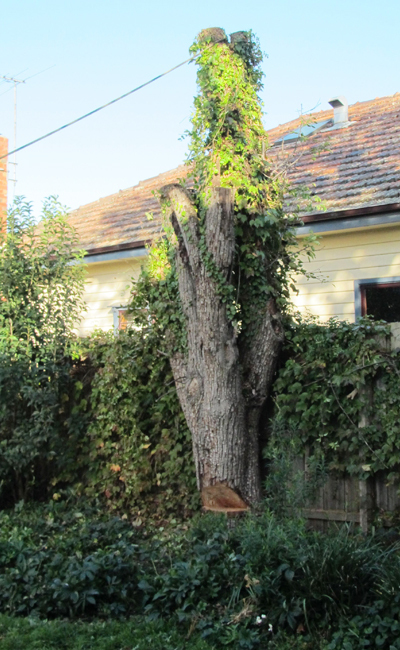 This method of tree removal can only be carried out in circumstances where space allows. 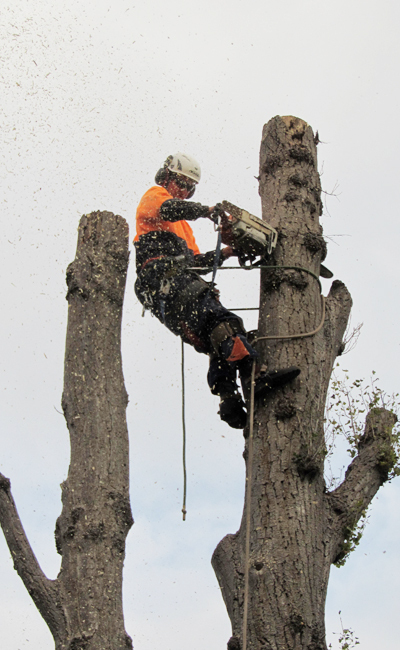 Climbing High Tree Services have had extensive experience in felling trees that are dead, declining or hazardous or have simply reached their useful life expectancy. 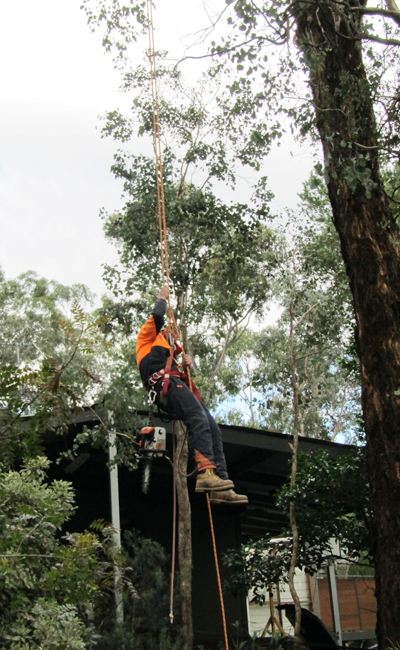 Tree dismantling occurs in areas of confined space and involves the use of ropes and harnesses to carefully lower branches and small sections of the tree in a safe and orderly manner without damaging the surrounding property. When the job is complete, the site is left both sound and clean. 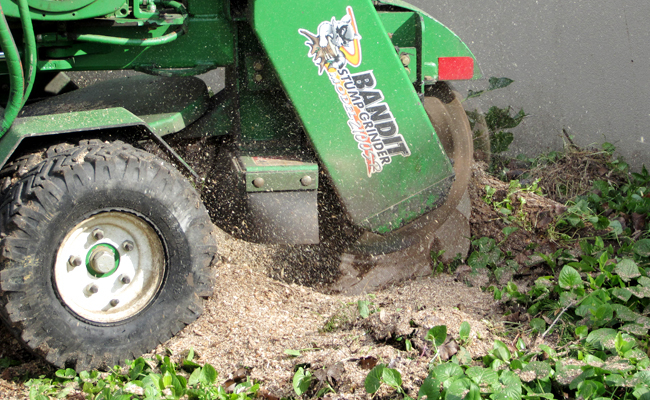 Stump grinding is the removal of the stump after a tree has been cut down. 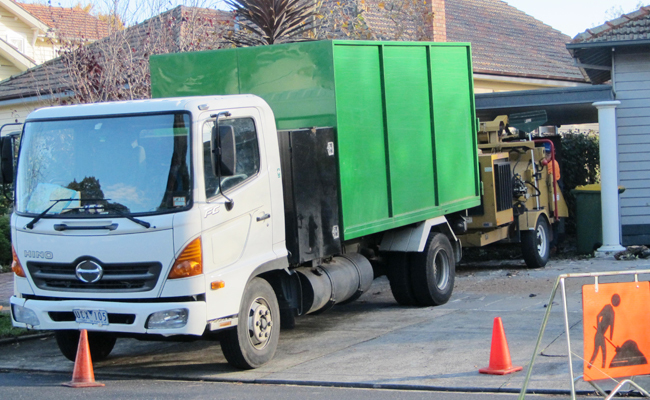 Specialist equipment is used and results in a clear area for replanting, paving or building. It helps to prevent re-growth and the possible spread of disease. Cabling and bracing is the process of tethering two or more limbs together. 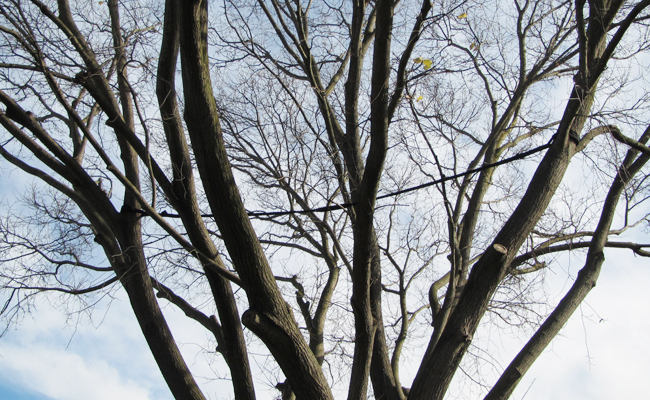 Trees with unbalanced growth or structural defects can have cabling and bracing applied to assist with relieving and resisting strain and stress on the tree. They are used to reduce the risk of tear-outs in the tree and minimize the risk of damage to both the tree and property. 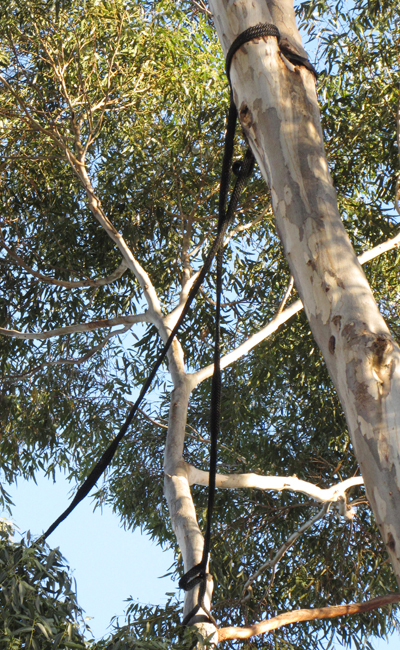 Climbing High Tree Services can install either invasive or non-invasive cables. 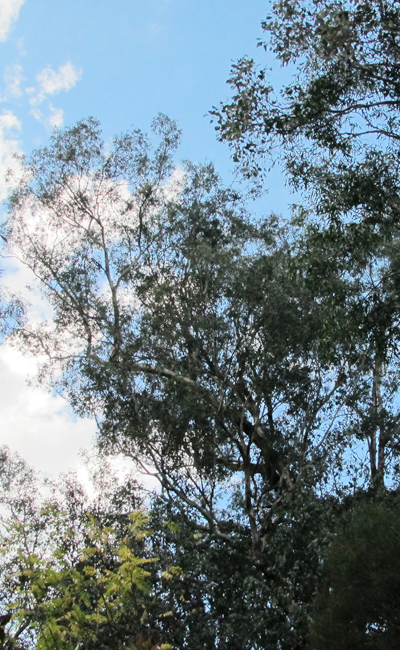 Our arborists will recommend what’s right for your tree. Where appropriate we install the Cobra system, a non-invasive rope-like cable that has excellent shock absorbing properties. 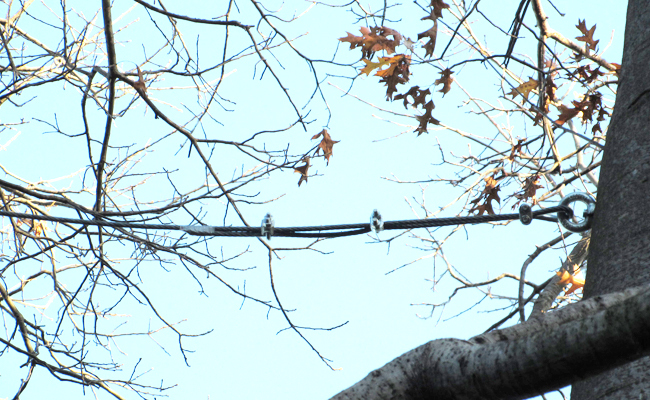 We also install steel cabling, which consists of wire secured to anchors inserted into the tree. 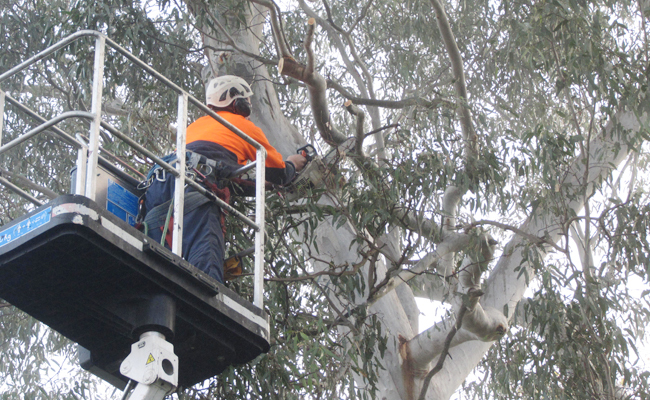 Climbing High Tree Services inspects cabling annually for effectiveness, ongoing tree safety and maintenance. Elm trees (Ulmus sp) can suffer serious damage from the Elm Leaf Beetle. As the Elm Leaf Beetle feeds on the foliage of the tree it creates tiny shoot holes in the leaves. If left untreated the tree’s foliage can be destroyed, leading to a decrease in the tree’s health and vigor and possible premature death. Climbing High Tree Services provides safe treatment for Elm trees suffering damage from the Elm Leaf beetle. A specialized injection is carefully administered into the stem of the infected Elm. The injection contains an insecticide that can last up to 3 years, significantly reducing the effect of Elm Leaf Beetle. It is the safest method of treatment, with no off target effects. Treatment of the tree occurs between Spring (when flower and leaf buds first appear) through to early Autumn (before leaves drop). 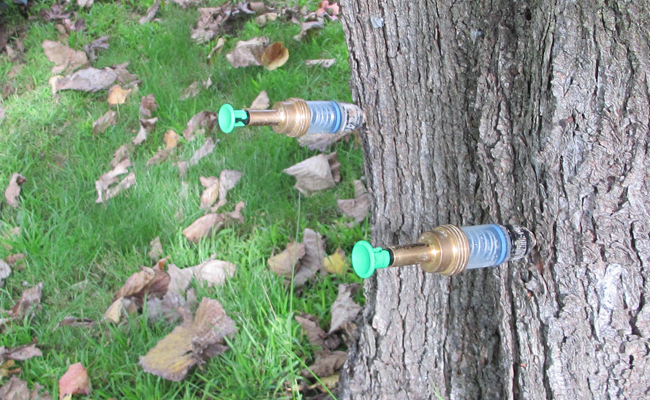 The average cost* of an Elm Leaf Beetle injection is $300+gst. measured at 1.4 metres from the base of the tree. Possums graze on the leaves, fruit and flowers of many different types of trees, sometimes causing significant damage to a tree. 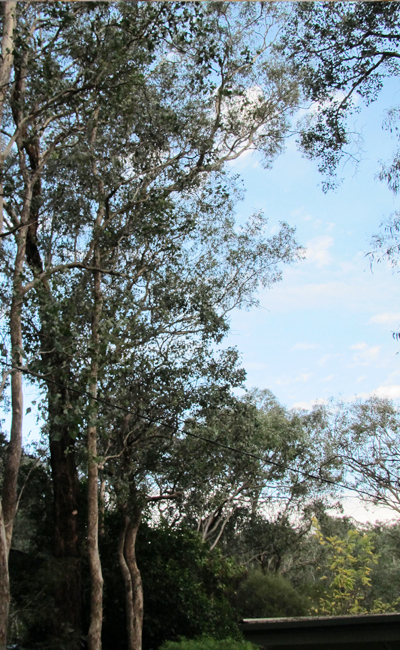 Climbing High Tree Services installs possum bands to restrict possum access to a tree and prevent overgrazing. 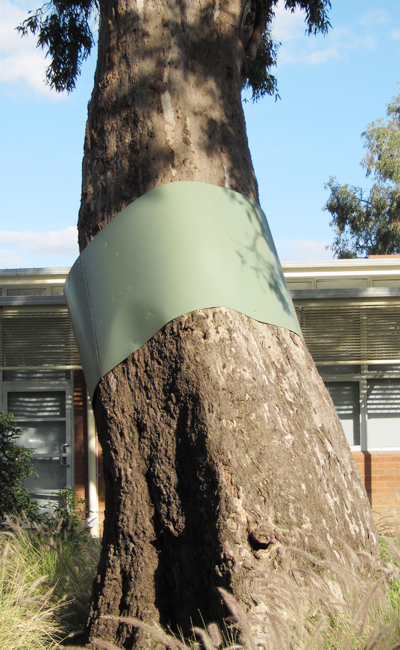 A band is installed around the trunk of a tree or its primary branches to stop the possum from climbing the tree. We install possum bands made from either a clear poly-carbonate material (lasting approx 3 years) or a colorbond sheet metal material (lasting up to 10 years). The two types of bands have different life spans due to the durability of the material and its susceptibility to weather exposure. Both types of bands require maintenance. They need to be loosened over time as the tree grows and its girth thickens. 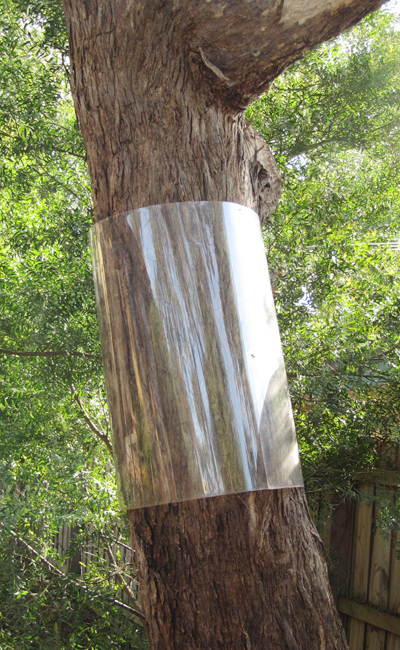 These bands will restrict possum access to the tree provided that the possums can’t access the tree through alternative routes (such as buildings or other trees in close proximity). Possums can jump as far as 2.5 metres horizontally or downwards, but have never been known to jump more than 1 metre vertically upwards. 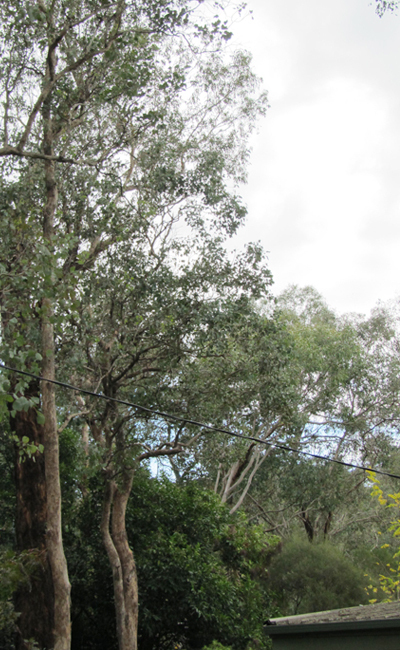 Our arborist will advise on inspection of the site whether a Possum band would be effective. Trees can become infected with pests and diseases at any time and if left untreated can lead to stress, deterioration and even possible premature death. 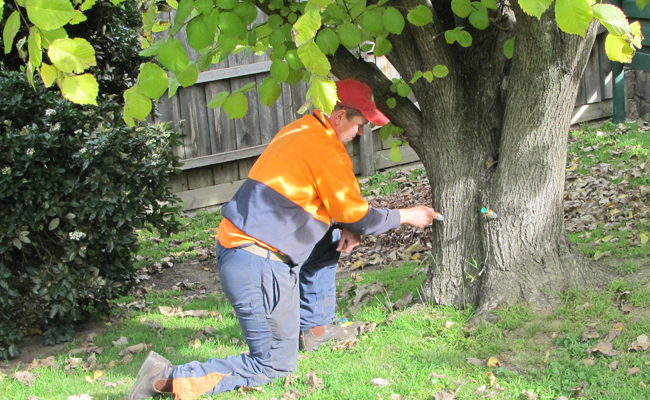 Climbing High Tree Services can identify any pests or diseases affecting your trees and provide a diagnosis. 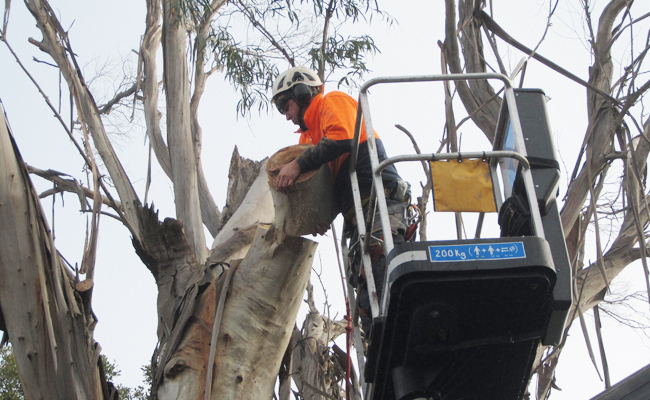 Our qualified arborists will advise you of the best course of action and assist in providing the safest appropriate treatments. Trees play a significant role in the urban environment. They not only provide shelter and shade, but also assist in preventing erosion. Trees can undeniably add beauty to any environment and improve both the appearance and the monetary value of a property. Sadly, there are many factors that can cause trees to become unhealthy, stressed and decline and in doing so lose their aesthetic value and lead to possible premature death. 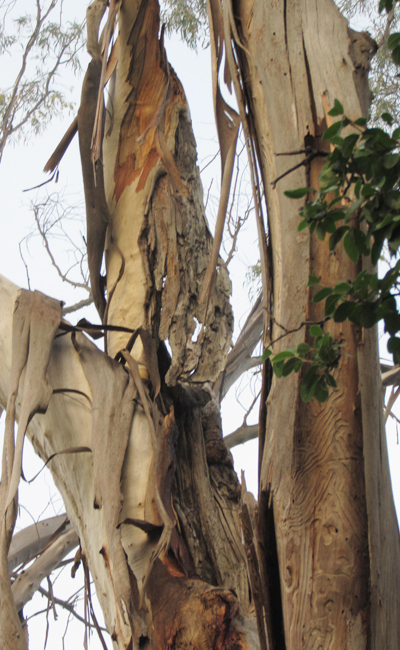 Environmental stresses, site issues, animal damage, insect infestations and infectious diseases are a few of the problems that trees can face. And it’s not uncommon for a tree to experience difficulties and complications due to a combination of factors. 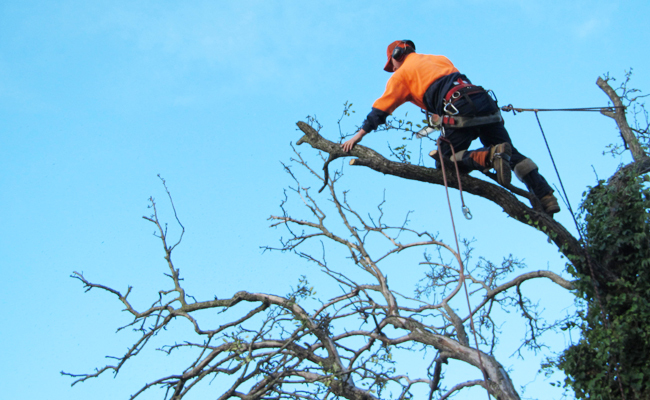 Climbing High Tree Services can provide inspections to determine signs and symptoms of tree trouble. 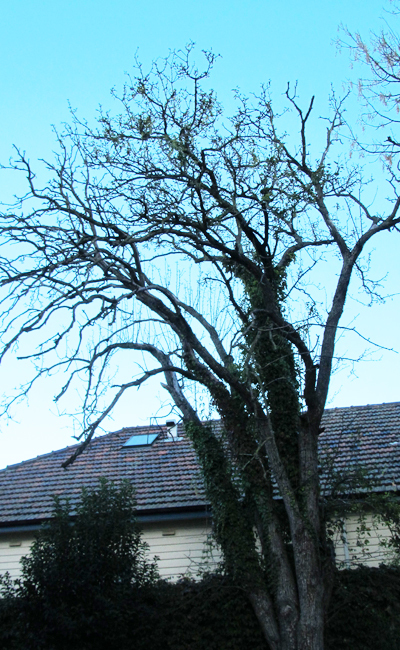 Our qualified arborists will assist with diagnosis and provide advice on how to best treat your tree’s problem.